A true blank canvas featuring over 1000' of stream frontage! 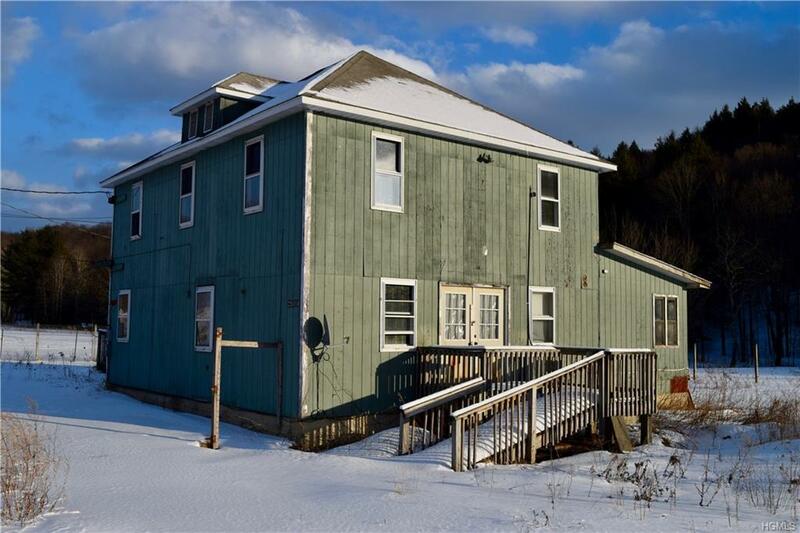 Bring your waders, tool belt and your dreams to reinvent this solid boned four square home on 3.69 acres of land. Live on one floor and rent the other. Use your design skills to create an Airbnb destination or hatch that business plan that requires a large flat piece of land. 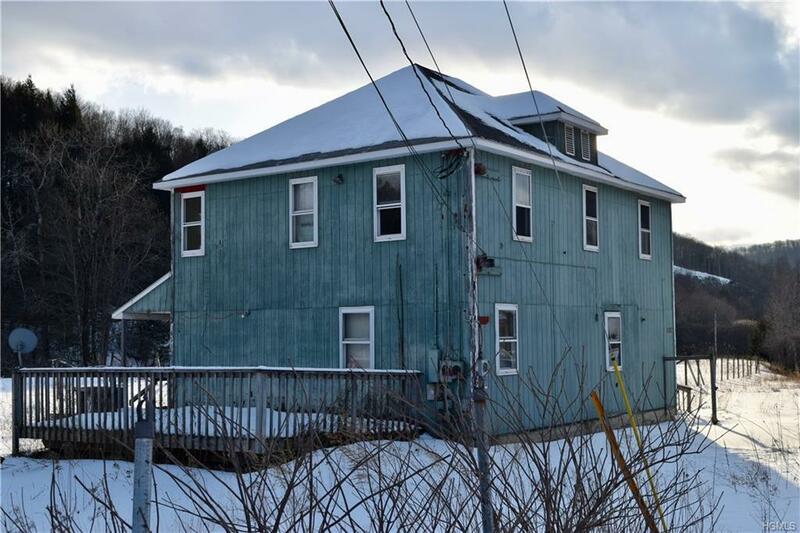 Prior to being used as a duplex, the home was used as an office for trailer sales and could be used similarly again on this commercially zoned lot. Tons of possibilities! Great commercial potential! 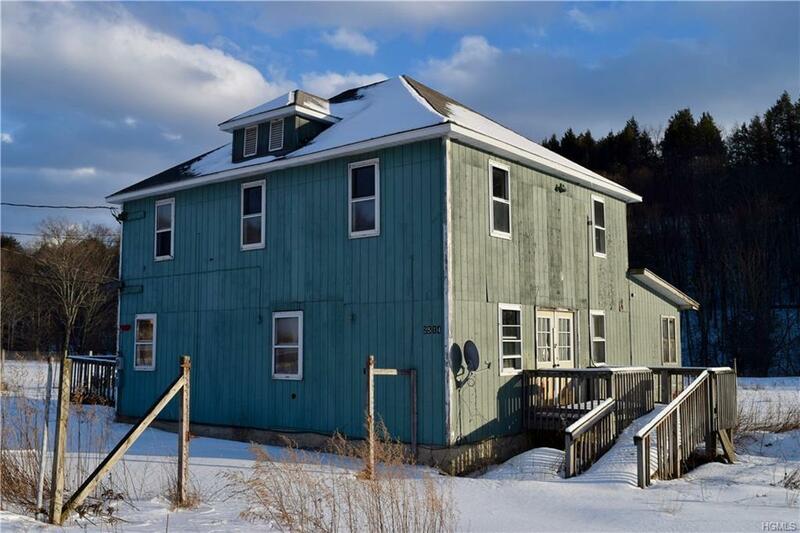 Not far from the surging town of Livingston Manor featuring Shops, Eateries and an Arts Center, not to mention an award winning Brewery and Fly Fishing Museum! 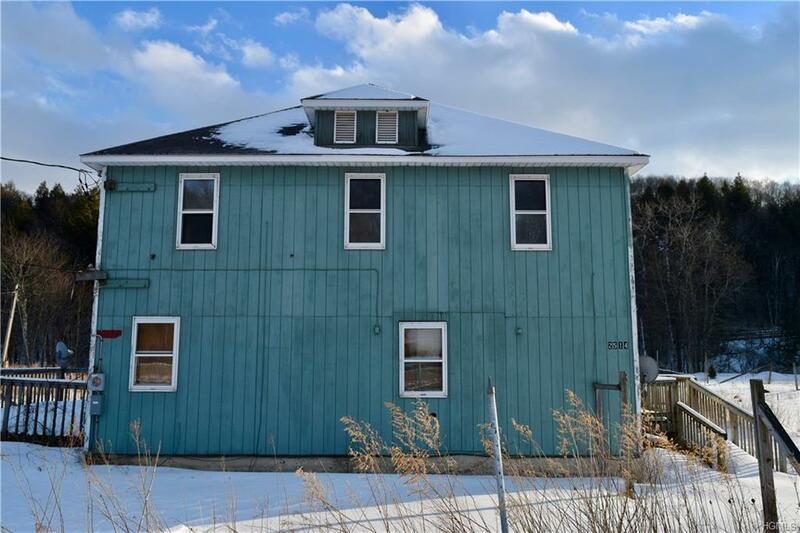 Large existing slab on the property could be utilized as an area for a pavilion or pole barn and electric conduit is already buried and run to the location! Easy access to Route 17, less than 2 hours to NYC and 15 minutes to Bethel Woods Performing Arts Center! You can do this! Come have a look!